A billion dollars. That's approximately what it would cost, to save the African lion. That's a billion dollars each year, every year into the foreseeable future. The startling price tag comes from a calculation we did, starting with a new database we compiled of available funding in protected areas with lions. To our knowledge it’s the most comprehensive and up-to-date database of its kind. Protected areas are the cornerstone of conservation yet we found that most of Africa’s extraordinary parks face grave funding shortfalls. Parks without funding often become protected in name only. Their staff, including the rangers and guards on the frontlines, simply cannot function without funds that pay for working equipment, rations, petrol and to keep the electricity running. Sometimes even salaries go unpaid. 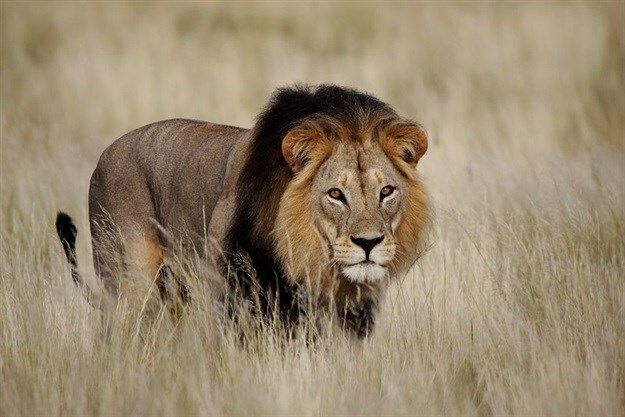 Using the conservation needs of lions as a proxy for wildlife more generally, we compiled a dataset of funding in Africa’s protected areas with lions and estimated a minimum target for conserving the species and managing the areas effectively. We then applied three thresholds to generate a likely range of funding required to effectively conserve lions; $978/km2 per year based on budgets provided by the African Parks Network; $1,271/km2 based on a new model we developed which estimated what it would cost to conserve lions at about 50% of their carrying capacity; and $2,030/km2 based on calculations of the cost of managing lions in unfenced protected areas. We applied those figures to answer the question, what will it cost to conserve lions and, more broadly, to secure prey populations and the ecological and economic services offered by protected areas on which both people and biodiversity depend? The answer is between $1.2bn to $2.4bn – or $1,000 to $2,000/km2 annually. Critically though, we’re not talking about lions in isolation. This price tag is for securing most of Africa’s protected areas that still contain lions – 282 massive “lionscapes”. The parks are also home to thousands of additional species, everything from dung beetles to elephants and the plants that sustain them. They also support communities living adjacent to them, and provide jobs to a much wider pool of people. Most of Africa’s large protected areas are underfunded. We estimate that only around 20% of the 282 areas have sufficient funds to ensure the survival of lions, as well as the other species they support. To our knowledge, this is the first time anyone has been able to put a number on the total figure that will be needed to protect Africa’s parks in perpetuity. They are famous places like the Maasai Mara National Reserve in Kenya and South Africa’s Kruger National Park where, every year, millions of tourists see magnificent wildlife in the flesh. They’re also places like Luengue-Luiana and Mavinga National Parks in Angola, which few people have heard of, let alone visit. Potentially just as magnificent as the Mara and Kruger, parks like Luengue-Luiana lack the financial resources required to effectively manage them. Closing the financial gap for Luengue-Luiana and other parks in the same dire straits would safeguard parks and the priceless wealth of African biodiversity they contain, with the lion as the iconic apex predator of every one of them. Adding immeasurably to their potential conservation value, parks can also act as potent engines of economic opportunity. The tourism industry in sub-Saharan Africa generates an estimated $34bn annually and directly creates six million jobs. Protecting parks also means protecting access to jobs for local communities whether as rangers, managers or chefs working in parks, lodges and hotels. There’s also a much wider network that supplies parks with goods and services – everything from locally grown food to liability insurance for the rare cases where tourists ignore the rules and attempt to take a selfie with a lion. Investing a billion dollars a year now would not only secure the lion and its landscapes, it also would secure the long term future of many millions of people living nearby. An injection of one billion dollars is unlikely to happen overnight or in a single, stunning lottery-type win. But putting the figure into context makes me believe that it’s possible. A billion dollars is only 2% of the $51bn allocated each year by foreign governments and multi-lateral organisations to advance development in Africa. In this context, finding an extra $1bn seems a prudent investment given that it will be used to safeguard the real estate on which potentially millions of new jobs rely. 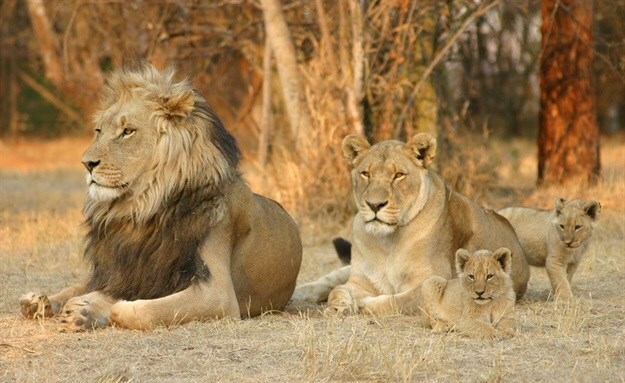 Preserving protected areas – and saving the lion – is now a global challenge. And it’s time other countries stepped up to the plate. Our paper also found that in many countries, international funding for parks is a fraction of the commitment made by African governments. But, more so than for any other continent, Africa’s wildlife is humanity’s shared heritage and responsibility. Now is the time for the international community, the donors and supporters of all stripes, to match Africa’s commitments. What better species than the magnificent lion to unite such an effort? The research was undertaken by Peter Lindsey, Jennie Miller and Lisanne Petracca with contributions from a multi-authored team working in eight countries. Luke Hunter, chief conservation officer of Panthera, research associate, University of KwaZulu-Natal.